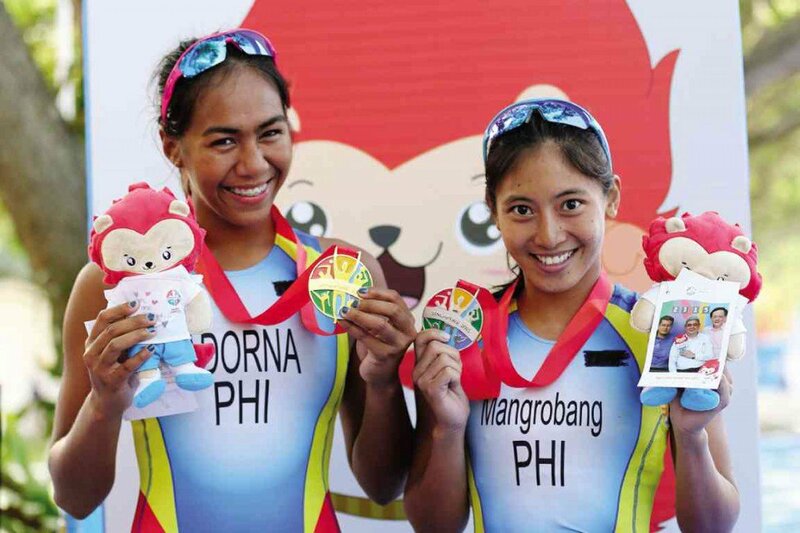 Claire Adorna and Kim Mangrobang won one-two finish in Women's triathlon during 2017 Southeast Asian Games on Monday, Augsust 21, 2017, at the Water Sports Complex in Putrajaya. Mangrobang finished with a time of 2:11:14, while Adorna clocked in at 2:18:58. The bronze went to Malaysia's Irene Chong, who finished the course in 2:25:44. Two years ago Mangrobang won Silver medal in Singapore. While Adorna won Gold last 2015 and went to Silver this year. Nevertheless, it's okay! Philippines is still proud! The Philippines has now 11 medals together with Nikko Huelgas and John Chicano, who won Gold and Silver medals in Men's triathlon.